OMG YOU GUYS I HAVE DISCOVERED A NEW LOVE!!! Thank you so much to 3INA for sending me* these gorgeous products as I am obsessed with all of them. I hadn’t really heard of this brand before, but over the last couple of weeks I have seen them nonstop all over my social media. 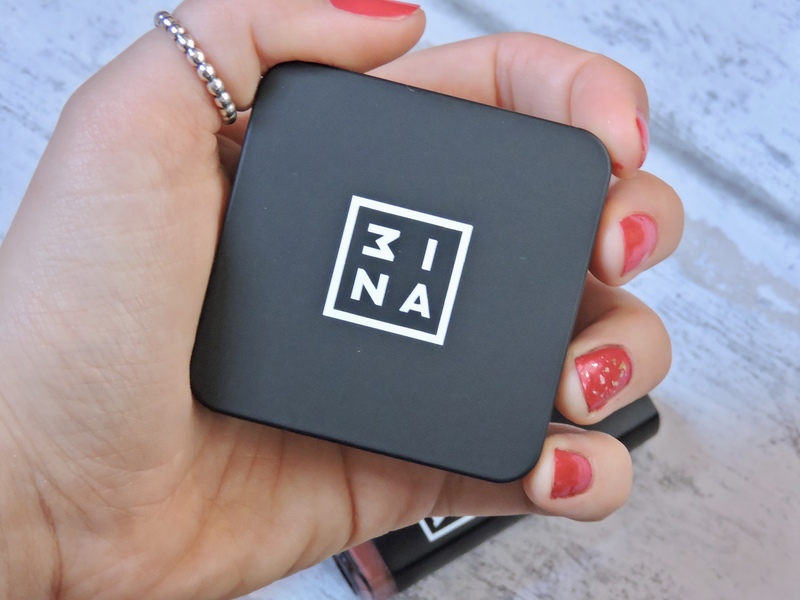 3INA are a new cruelty free beauty brand that have been around for about a year now. They have every product that you could want FOR EVERY SKIN TONE!!!! yassss 3INA you are doing it right! They have over 600 products and they have something for everyone. They kindly sent me their THE HIGHLIGHTER 201, THE CREAM EYESHADOW 312 and THE LONGWEAR LIPSTICK 505 and I am honestly in love with all three. 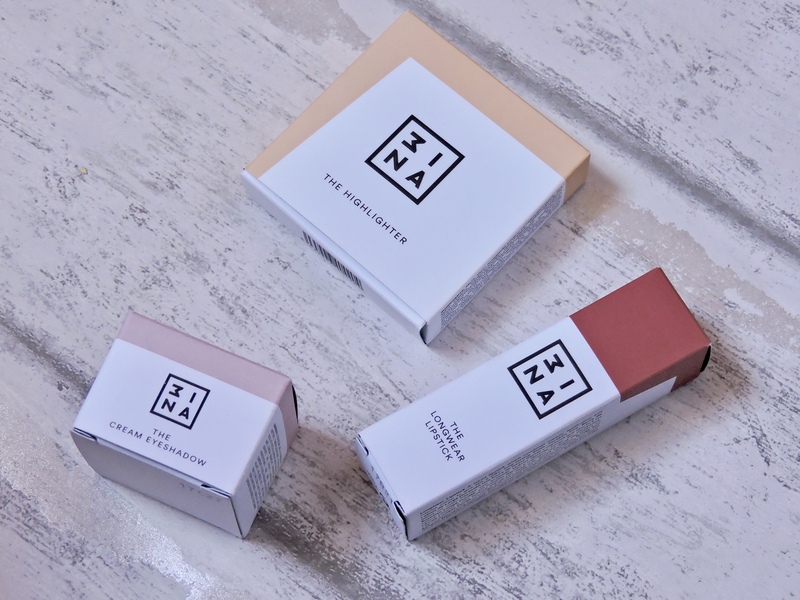 The highlighter retails for £10.95, the eyeshadow retails for £8.95 and the lipstick retails for £7.95 which I think are all quite reasonable prices. I LOVE the box packaging. I think it is really unique and creative, you don’t see packaging like this. You can tell that they have put a lot of thought into their box packaging as well as the product packaging. I really like how the coloured bits on the packaging are the colours of the product inside. The red bit on the packaging shows what colour the lipstick is. I love how they have used white packaging, you don’t see a lot of white packaging normally it is just extremely colourful or black. I also think they made a really good choice with this packaging. I love how simple and cool it is. You can tell that the packaging is really good quality and that it doesn’t look or feel cheap, but in fact the eyeshadow especially is really heavy. The packaging is really sturdy and compact and although it is black mine haven’t got dirty at all. I love how the name of the brand is the same on all of the products with a white line around it. I think it is such a different way and it looks asethetically pleasing to look at. I think the packaging is simple but great. It is really easy to open which makes me happy as i hate it when i struggle to open palettes. I think the size of the highlighter is a generious size and the highlighter itself it really big. You are getting alot of product in this palette, you are getting 6 grams of product. I do wish that there was a mirror inside as it would have been nice, but I do my makeup in a mirror anyway, but it would have been nice especially for travelling. THIS COLOUR IS STUNNING! honestly guys can we just check out that glow!!! This has been my holy grail for the last month, every time I do my makeup I use this highlighter without fail. 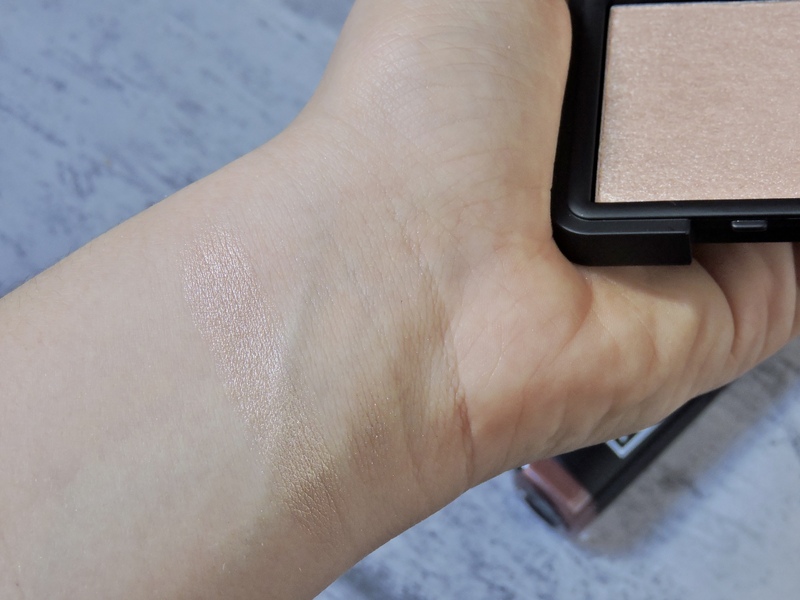 This colour is like the Sleek Solstice Cleopatra highlighter, the shade Spinx which is the top left shade. I have been loving wearing it throughout this summer. It looks lovely with a tan as it is such a stunning golden bronze colour. I think this would look stunning with every skin tone and the great thing is that it lasts all day! 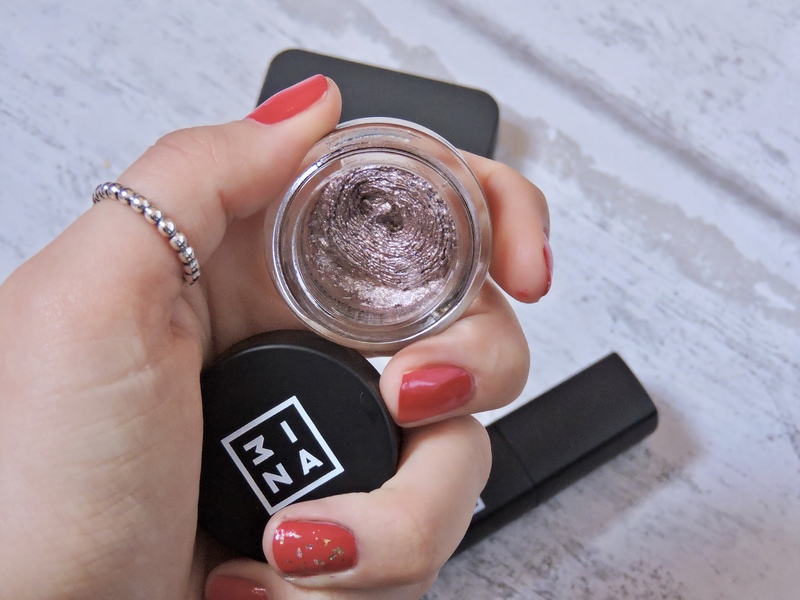 It is such a powerful highlighter, but also gives you the option if you want your highlighter to be sheer. You just swirl your brush around in the pan a little lighter and you get the perfect sheer glow which this beautiful colour. If you want a high beam glow, this is your product!!! 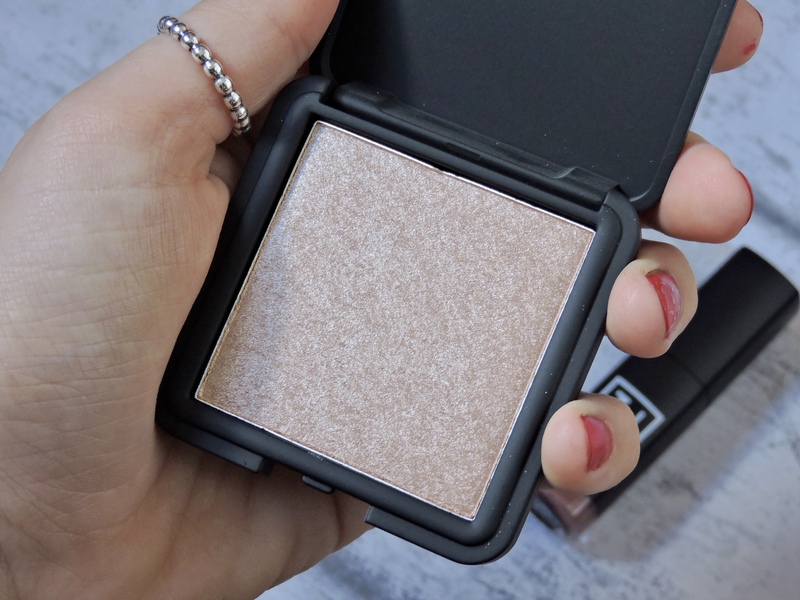 This is worth every £10.95 in my eyes, if anything I think the quality of the product is such a high-end highlighter and i think it should be more then £10 but hey im not complaining! The packaging of the lipstick is really unique. 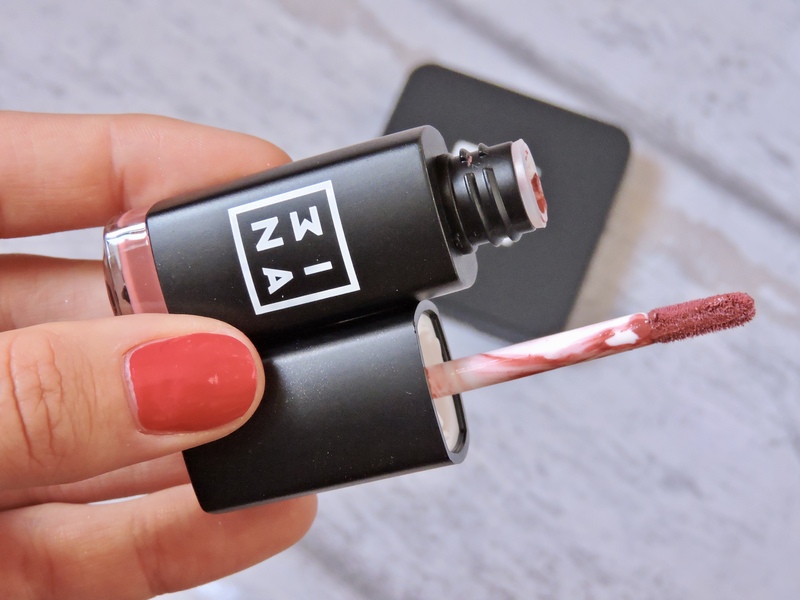 I haven’t seen another liquid lipstick like this before. I love that the packaging throughout this collection is really consistent. I love that they have a little transparent bit on the end of the lipstick so you can see the colour of the lipstick. I always think this is handy, I love being able to see what I am buying. Even though the colour is on the box packaging, sometimes the colours aren’t the same. The lipstick itself is actually quite small, the bottom bit where the lipstick actually is quite small but thick. If you think about a normal liquid lipstick they are normally long and thin. This one is different and I kind of like it. It is the perfect size to fit into your handbag and even the little pockets inside your handbag. THIS COLOUR IS STUNNING! one of my all time favourite lipstick colours I have ever purchased. It looks gorgeous on the lips! when I put it on, I was instantly in love with the colour. THE COLOUR IS SO PIGMENTED, it does start to apply streaky but the more you go over it and apply it it evens out. Once again, this colour would look lovely on any skin tone. I am really fair, but sometimes I love having a really bronzed look with a Burgundy eye and this colour lipstick. It adds more colour to my face and this lip colour really makes your lips pop. 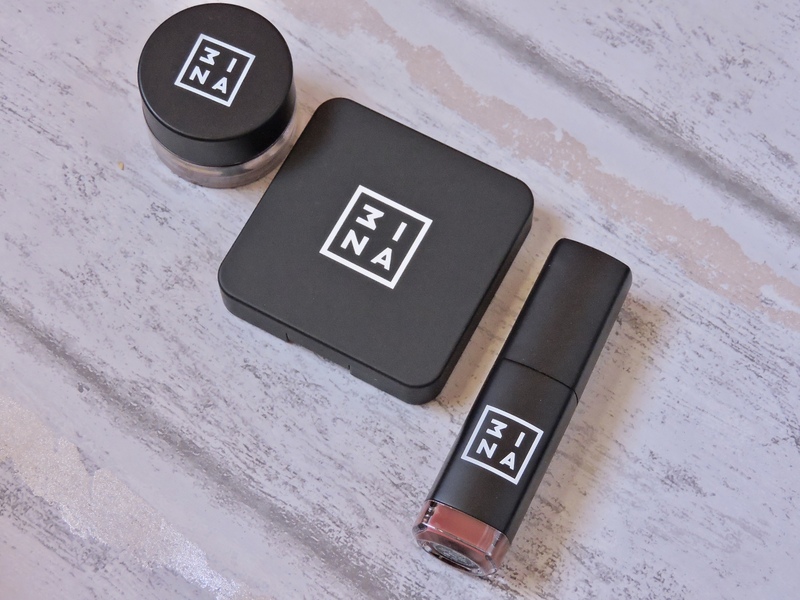 The lipstick applied really easy and the texture was really creamy. It reminded me of the Nyx Lingerie lipsticks and they are my favourite liquid lipsticks. They didn’t last as long as I would have liked, but it lasted a fair amount of time. 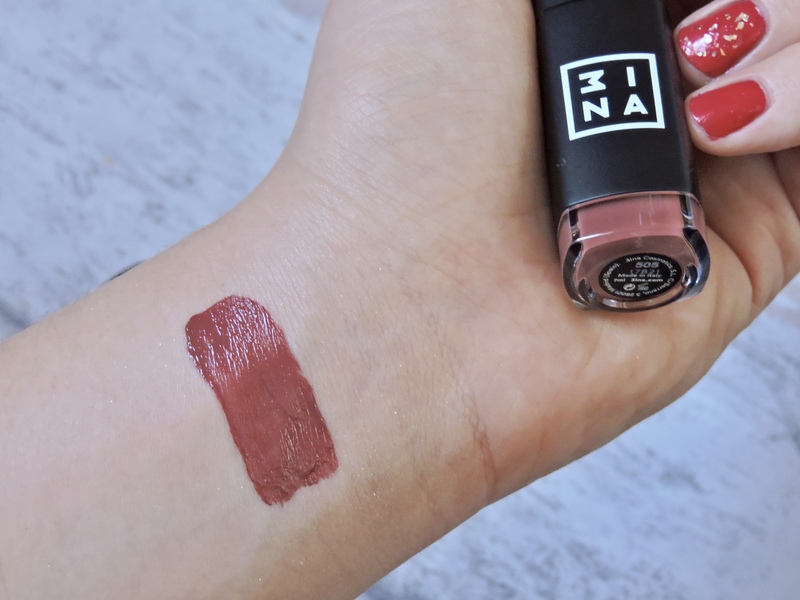 If I wore this for a whole day I would probably have to reapply it 2/3 times, but the colour is stunning and I honestly don’t mine reapplying lipstick (this is the same with any lipstick, reapping lipstick doesnt bother me at all) would I choose to wear this instead of my other liquid lipsticks? yes. Would I rather purchase this over my other liquid lipsticks, probably not. I really love creme eyeshadow packaging. I think they are really cute and there is such a lot of product inside the pots they come in. One thing I noticed about this product (other than the stunning colour) is it that it is HEAVY! you can tell that the quality of the packaging is really well made and not cheap at all. You can see from the outside that there is alot of product inside. 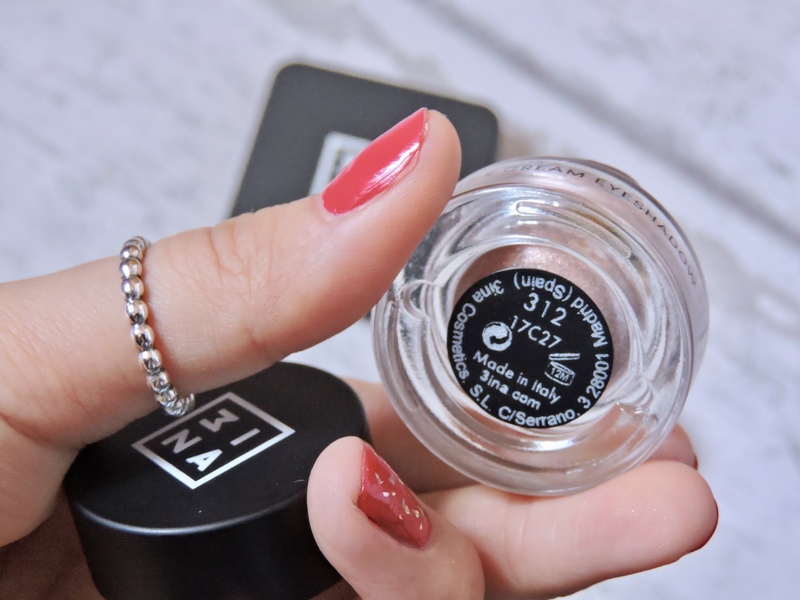 The lid screws off which is the same with most creme eyeshadows and the size of it is really easy to stick in your bag if you need to. I find creme eyeshadows really good for travelling as you dont have to take a whole palette away with you. This colour is absolutely gorgeous! it swatched so beautifully on my arm aswell so I am happy about that. This colour is sooo pigmented, it almost feels wet when you apply it. 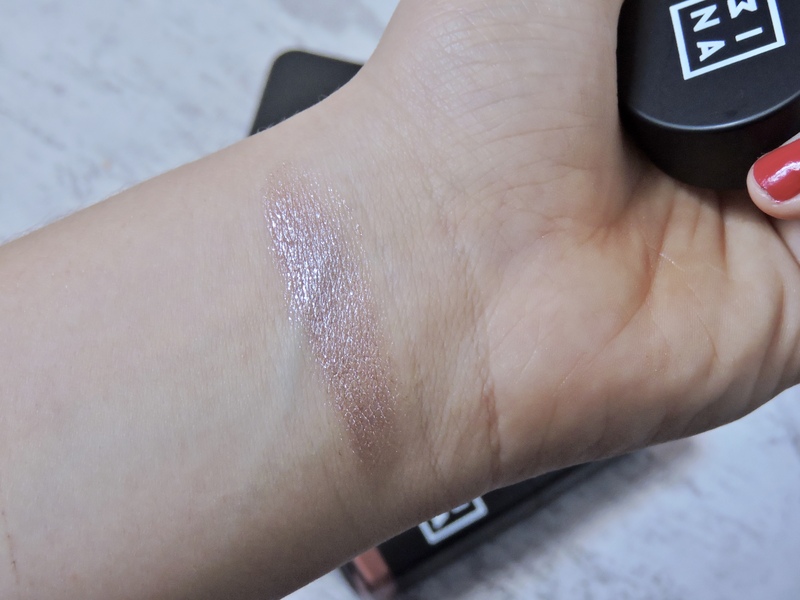 it blends really lovely, but it isn’t as creamy as other creme shadows I have used before. It is quite a sheer colour, so you have to build it up if you want it to be really blinding. When you apply it onto your eyes, foil comes through from the eyeshadow and little pink foil pieces appear on the eyes which I like but I didnt expect. I would have prefered it if it didnt do this but it doesnt put me off using it. This is such a staple colour for an eye look on a night out. You can create so many eye looks with this, sophisticated eye looks and creative and fun eye looks. I can’t even tell you how long lasting it is, it didn’t move off of my eyes all day. I really liked this as I love having eyeshadows that don’t move throughout the day. It was easy to remove at the end of the day. I would 100% say that this creme eyeshadow is worth it if creme eyeshadows are your thanggg and you wear them everyday then this one is for you. Thank you so much to 3INA for sending me these products. I have found some new products that I am obsessed with. They are really worth the money as you can tell that they are really high quality products. I had never heard of this brand before but I am sooo happy that I have. Would any of these products be up your street? IT IS AMAZING!!! the highlighter is sooo good, I don’t know what I would do without this highlighter now. I agree! 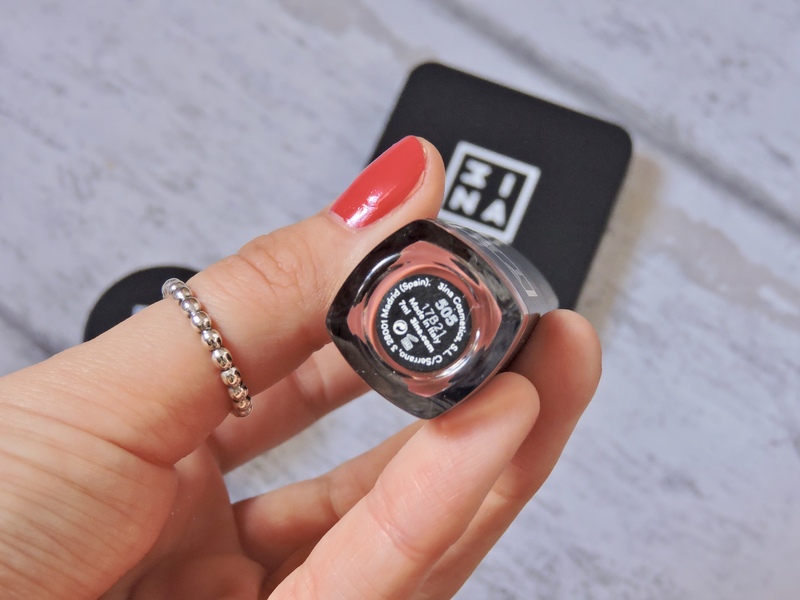 the perfect autumnal shade! Oooo need to try out this brand👌🏻 Great post!! Woah! They are so pigmented! That’s so surprising!! Whats the price range like?? I’ve been in their Covent Garden store before to swatch some of their lip colours. The eyeshadow looks like an awesome colour. Perfect shades for fall! Love the lip color!! The packaging, price point and pigmentation are incredible! Definitely keeping an eye out. Thanks for sharing !! 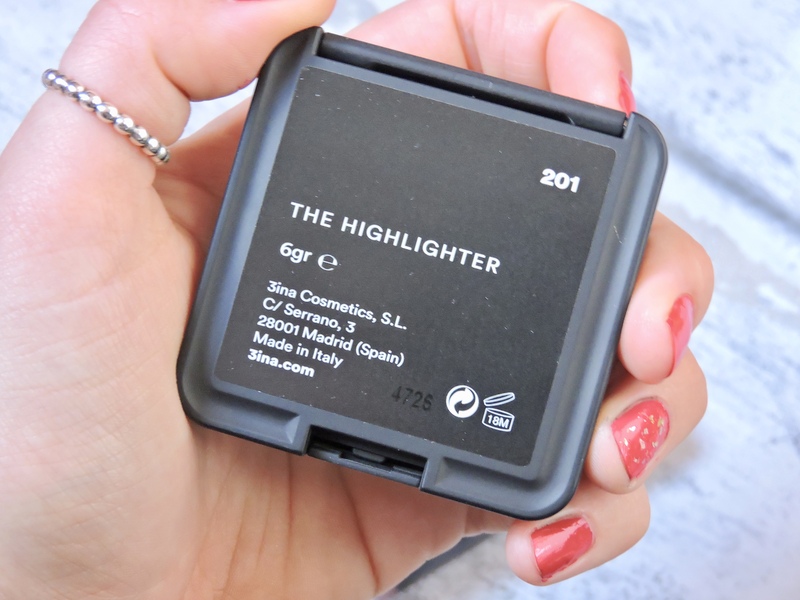 I’ve been looking for a new vegan highlighter for ages! So glad you wrote this! I’ve never heard of them before! The highlighter and the lipstick colours look absolutely stunning! I hadn’t before either. I am so happy that I have heard of them now. sooo stunning! Wow I’ve never heard of this brand before but the products look amazing!! Love the lipstick so much! They’re packaged so beautifully and they look so beauutiful!! I KNOW, I loveeee their packaging!!! These look amazing, I love 3INA! I agree. 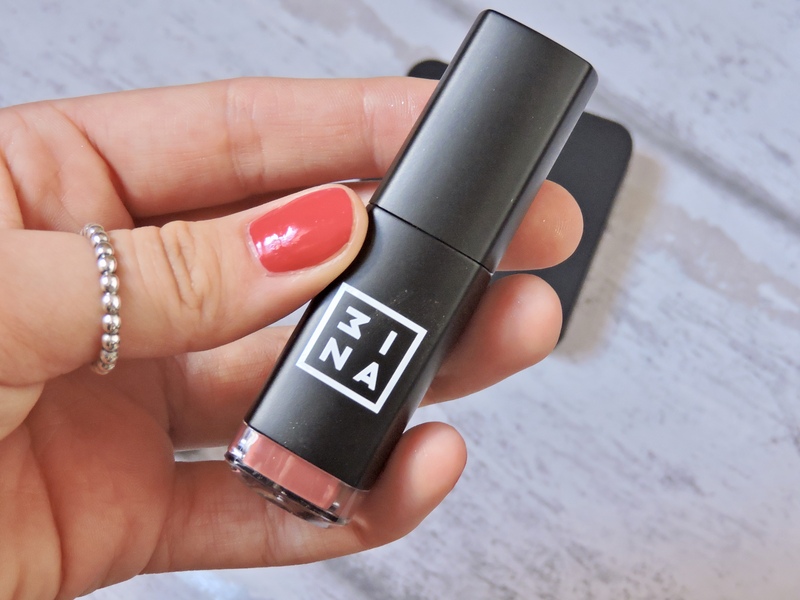 This lipstick is going to be the colour to wear this Autumn! I’m glad you liked them! 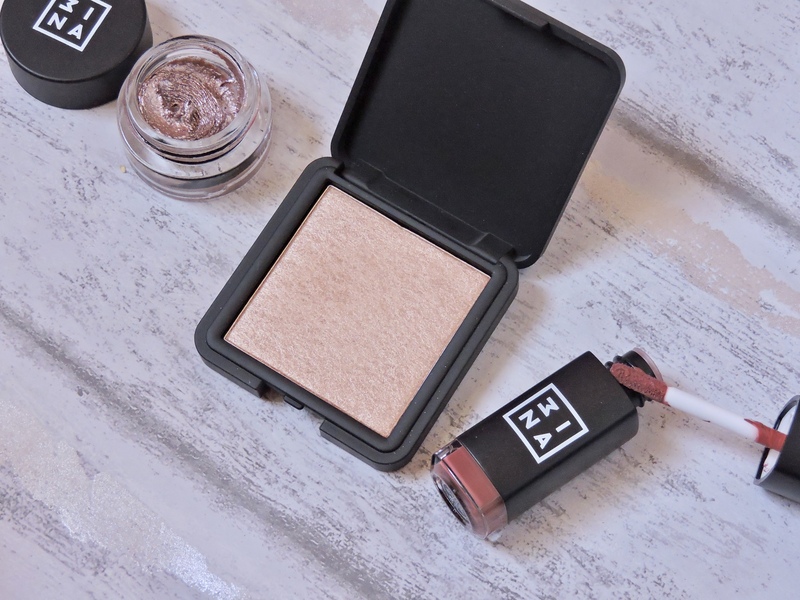 The highlighter looks like it is something that I should add to my make up collection!